What kind of winey god doesn’t like to quench their appetite? Not me. 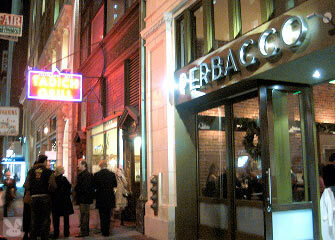 When I am die-onysusing for a good time, I head to Perbacco. The main dining room is spacious with a dramatic flower arrangement on the center serving station. There are city folks grabbing a business dinner or going out with friends. People are in suits or smart casual attire. 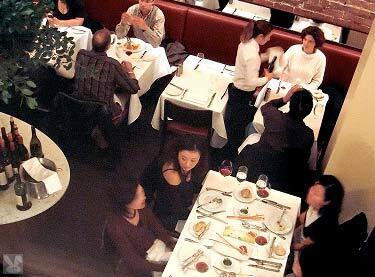 Upstairs there are dining areas that can be partitioned off as well as a larger private room past the elevator. Their wine list focuses on Italian and Californian wines and you can get half and quarter litre carafes of many of their offerings. If you feel like you are running out of stomach capacity, Fernet is at the ready. 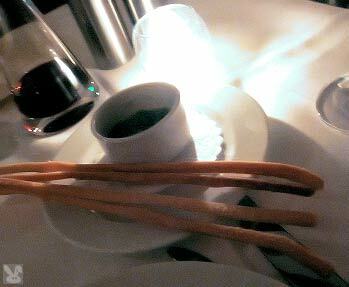 Thin, crisp, salty, grissini with a ramekin of salsa verde was a herald of good things to come. 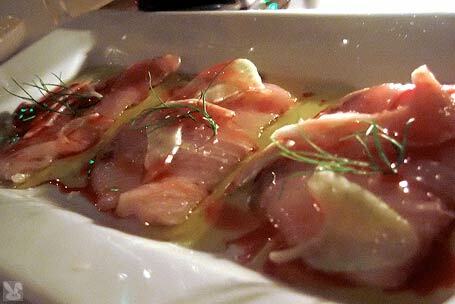 Hamachi ($12.00) was topped with paper thin slices of fennel with pools of blood orange hemorrhages and orange oil accenting the fresh, firm fleshed yellowtail. The rich fish contrasted nicely with the crunchy anise and citrus flavors. A great way to jet the juices flowing. Coppa di testa ($7.00) was not to be destested. If you give sweets to the sweet it only makes sense that you give the pig’s head to the pig-headed. 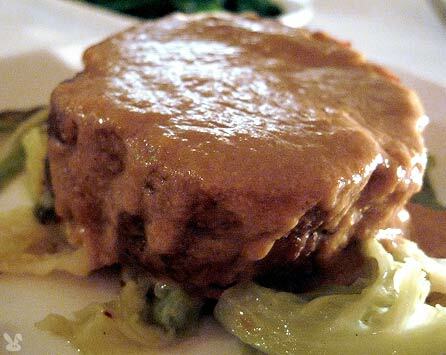 This plate of thin sliced noggin terrine was a testa-ment to good cooking. Whoever made this has a good head in their pot. 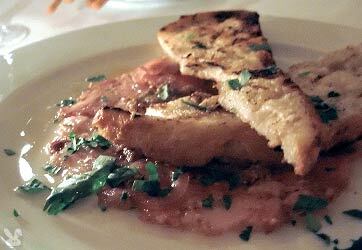 Slices of grilled, rustic bread sopped up the mustard vinaigrette and supported the loops of pickled shallots that banded together this head-starter dish that was shoulders above the crowd. Tagliatelle ($10.00 for an appetizer portion) was capped with a scoop of 5 hour pork sugo, (5 hours might sound like a long time but hey, what’s time to a pig?) 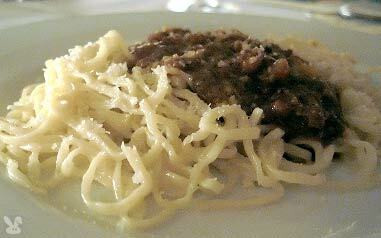 This slightly sweet, tomato and mushroom sauce mingled well with the skinny handcut noodles. I wish I had a spoon to go with my fork for twirling and eating support but I got up the last bits with the bread. Pork Shoulder ($19.00) was so delicious and tender that I didn’t need a knife. Just the air parting in the wake of my fork was enough force to cause this Berkshire swine to shrug off it’s other-white-meaty goodness. It’s cooked in milk to loosen it into a lactose lullaby of lusciousness. 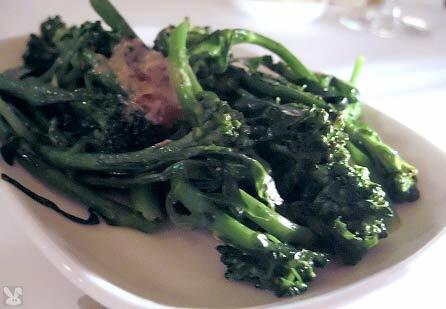 Di cicco broccoli ($4.00) was topped with anchovy butter. The fish added a salty dimension to this garlic boosted veggie side. This plate looks like a handcrafted reproduction of airline china. I overcame my gag reflex long enough to enjoy the chow and ignore the vessel. 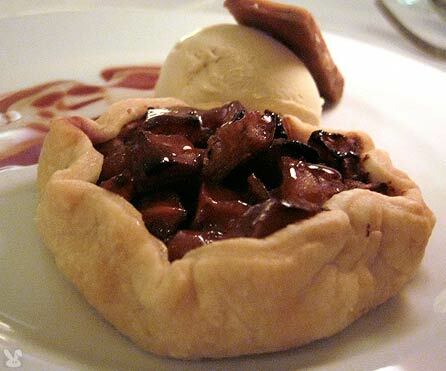 Squash and pumpkin crostata ($7.00) arrived warm with a flaky pastry. Sadly, the overall effect was starchy and tastebud spackling. I have to give them a A for effort on this one, but the actual flavors of this freeform tartlet were muddy. The fennel gelato was tasty but it compounded the palate insulating effect by offering no acid component to cut through the goard-ian knot (in which my tongue was tied.) The pumpkin seed toffee was a sweet, crunchy spike of energy that jacked up dessert to end on a sweet note. Bathrooms are accessible by elevator on the basement level. They look as though they are still being sorted. 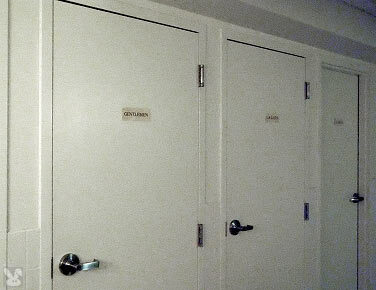 The paper gender labels on the doors look as though they will be replaced when the sign delivery arrives. Perbacco has something for everyone. 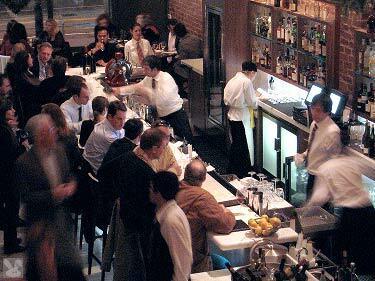 You can go to the bar for a signature cocktail and some house cured salumi and fritto misto. If you are on the wagon, you can get a limonata with sea salt or mockgarita. If you want dinner (and aren’t as into pork as we are) you can get a vegetarian dish with their stellar pasta.